Team Ski - specialists in school hire - boots, clothing, helmets and all equipment. 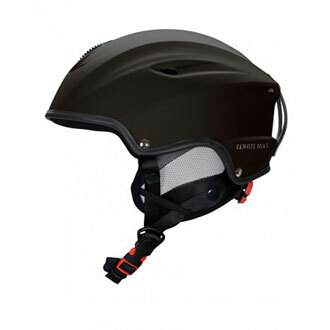 The White Rock Ski Helmet features an external shell made from ABS giving solid, durable protection. The impact absorbent inner also features an antibacterial lining and ultra soft, removable ear pads. Rear twist knob size control and fully adjustable, quick release chin strap for optimised fit. The external air venting allows optional air flow to reduce heat build up. Goggle retainer clip and protective carry bag included. Now.... wired for sound option with built in speakers. FEATURES: •ABS shell. •Antibacterial lining. •Size control. •Air venting. •Removable ear padding. •Built in speakers. •Goggle retainer clip. •Protective carry bag. SPECIFICATIONS: •Weight: 640g.